The name Lydenburg means “Place of Suffering” and was so named by the Voortrekkers in the early 1800s, those who were fleeing the heat and malaria prevalent in the lower lying areas. Although Lydenburg was a cooler and much healthier area to live in, the settlers in the area had to fight many battles with the local Bapedi tribe who at that time lived in the region. 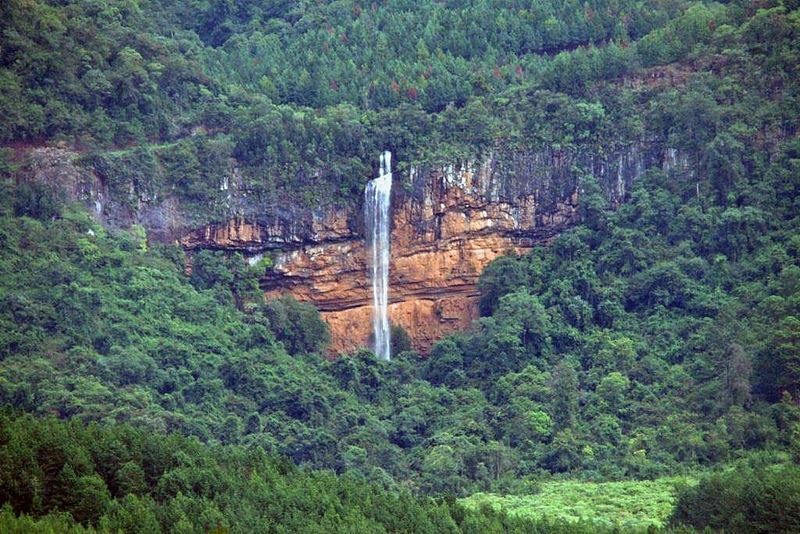 The pass that connects Sabie to Lydenburg is named “Long Tom Pass’. After the final Anglo Boer War battle that took place on the slopes of Mauchsberg, between Lydenburg and Sabie, the pass was given its name. At Devil’s Knuckles, near the summit of the pass, stands a replica of the Long Tom Cannon, a silent reminder as to how the pass got its name. Established in 1972, the Lydenburg Museum is a place for the history lover. The museum is situated on the pass at the entrance to the Gustav Klingbeil Nature Reserve. Although it is a small museum, it is said to be one of the best museums in the Mpumalanga. The museum is filled with archaeological and cultural history. The best know history in the museum has got to be the Lydenburg Heads. These replica 7 heads (the real heads are kept in the National Museum in Cape Town) are believed to date back to the Iron Age, around 490AD. Ludwig Von Bezing, a 10 year old child that was playing on his father’s farm, made the discovery of the intricately carved ceramic heads in 1957. Cultural items from the settlers as well as from the Pedi and Ndebele people that occupied the area at the time are also included among the artefacts in the museum. Beautifully recreated and displayed outside the museum is old farming equipment as well as an ox wagon. Long Tom Cannons from the Anglo Boer War, as well as other military history and early gold mining exhibits can also be viewed. Another interesting display in the Lydenburg Museum in the distillery. Here one can sample the traditional Afrikaaner brew known as mampoer. If you would like to take a step back in time, a visit or stay over at the De Ark Guest House is a must. Built more than 150 years ago, the De Ark House is the oldest and most prominent building in Lydenburg. Although the original house was built in 1857, it was converted to a double storey building in 1893. Today you can choose from bed and breakfast or self-catering rooms and the De Ark Guesthouse is able to accommodate 28 people sharing. Each room has a theme, so you can stay “In the Library” or “On the Green”, in the “Gothic” or in the “Louis XV1” room. There is a Victorian Style Tea garden with rose thickets and a breakfast/dining room fit for royalty. De Ark Guesthouse caters for weddings, with the garden gazebo being transformed into a romantic chapel, with beautifully landscaped gardens and fragrant roses making it the best place for your special day. Nelspruit Lodge offers the best accommodation in Nelspruit, at the most affordable prices. Contact us today to book your stay! Why Stay at Nelspruit Lodge?